Please join us in congratulating Sara Lavastida and Miranda Petty. 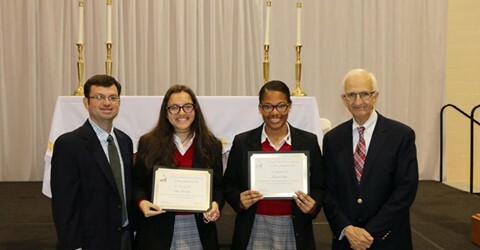 The recipients of the Jeff Nola scholarships for the 2018-2019 school year at St. Michael the Archangel High School. Thank you for continuing the legacy of quiet leadership, spirituality, and commitment to academic success. We wish you all the best during your upcoming senior year and beyond.